You can do a lot of things from your SpamPanel. First you must login. If you’ve forgotten your password or have not yet set one, here’s what you’ll need to do. 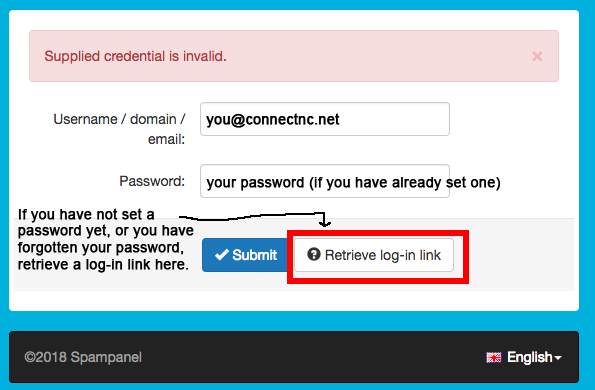 Click on the Retrieve log-in link as pictured above. You will receive a message with the subject line, “Temporary link to change your password.” The sender will be no-reply@antispamcloud.com. Click on the “Set Password” link to complete the password reset.